CHARLOTTE, N.C. (Legal Newsline) - For weeks during the bankruptcy trial of Garlock Sealing Technologies, lawyers representing the manufacturer called former attorneys who represented the company and other witnesses to testify about what they allege were underhandedness and fraud on the part of plaintiff attorneys in asbestos-related lawsuits. In mostly closed portions of the trial, witnesses testified about inconsistencies and potential double-dipping plaintiffs who would sue one manufacturer of asbestos products made decades ago and then would sue Garlock blaming both manufacturers for their clients' asbestos-related ailments. A Garlock lawsuit filed against lawyers from a plaintiff's firm alleging fraud, however, provides details of the alleged underhandedness that its lawyers asserts allows for abuse in the system. In a 2012 complaint filed against lawyers from the firm Williams Kherkher Hart Boundas, LLP, Garlock alleges that lawyers from the firm fraudulently concealed evidence "they were obligated to disclose in discovery." The lawsuit stems from an earlier suit filed by members of the plaintiffs' firm representing a mesothelioma patient. The patient worked at Triplex, a company that sold different industrial products including asbestos pipes between the years 1966 to 1968 while he was still in high school. Because few, if any records of the company's inventory from that time period still exist, Garlock contended in the lawsuit that it allowed for (without explicitly alleging) plaintiff's attorneys to "implant memories" of what products the patient had been exposed to, allowing Garlock to be targeted in litigation. In their lawsuit against lawyers from the firm, Garlock alleges that the firm's lawyers filed a claim against CAPCO, a bankrupt company that produced asbestos pipes. Triplex also was a distributor for Johns-Manville Corporation, a major manufacturer of asbestos-containing products including gaskets. But with the potential payoff for a claim in bankruptcy court being limited, Garlock contended that the firm decided to target Garlock in the tort system since it was still solvent and could potentially result in a much larger payoff than filing a claim against the trust that the companies in bankruptcy set up to pay victims. To do so, Garlock alleges in their lawsuit that the firm's attorneys sought to attribute their client's mesothelioma to exposure to two kinds of asbestos fibers that both Johns-Manville and Garlock used in the products they sold, chrysotile and crocidolite. "Asserting that (Johns-Manville) gaskets were the source of the crocidolite in (the client's) lungs would therefore not create a case with the value the Lawyers sought," the lawsuit contends. "Moreover, the Lawyers could get the maximum recovery allowed by the (Johns-Manville) trust simply by asserting that their client worked with chrysotile gaskets from (Johns-Manville). " With both companies selling products that contained both kinds of fibers, it allowed for the firm to sue Garlock and attribute their client's chrysotile exposure to the other company. "Thus truthful evidence of (the patient's) exposures to other crocidolite products would have materially decreased Garlock's potential liability, and thereby decreased the settlement value of (the patient's) claims," Garlock's attorneys wrote in their complaint. "At no point, however, did the amendments to the interrogatories or any of the (the patient's) witnesses identify (the patient's) exposure to any non-Garlock products other than (Johnson-Manville), or any crocidolite-containing non-Garlock products whatsoever." 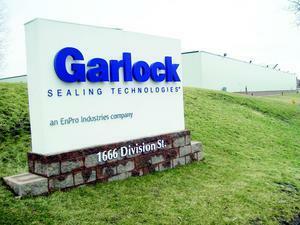 Garlock contends that the firm then filed a motion with the court requesting that Garlock "not be allowed to testify or offer evidence regarding any crocidolite-containing product other than Garlock gaskets, as there is no valid evidence of (the patient's) exposure to any crocidolite containing products." As a result, Garlock settled for a much larger amount than it would have if they had known the firm was pursuing a similar claim against CAPCO, which could have significantly reduced Garlock's potential liability, the lawsuit contends. "The principal reason that Garlock paid the amount of the settlement was because the Lawyers had not identified exposure to any other crocidolite-containing products, other than the (Johnson-Manville) exposures, which they directed away from crocidolite," the complaint states. "The concealment of this evidence prevented Garlock from explaining the cause of (the patient's) mesothelioma, and exposed Garlock to bearing more of the damages in the event it were held liable because Garlock lacked sufficient evidence to allocate liability to others. All of this greatly increased the value of (the patient's) claims against Garlock and increased Garlock's willingness to pay more to settle the claims."